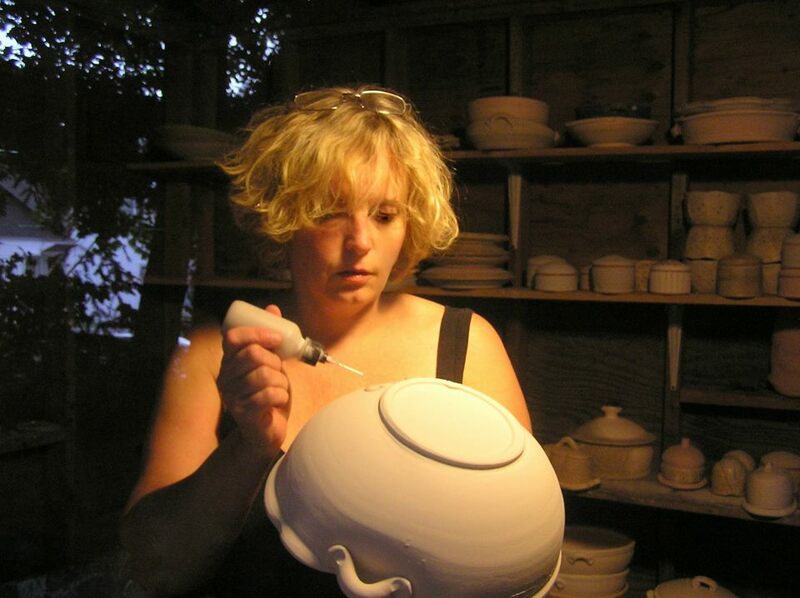 Potter Lori Watts is the creative force behind Fine Mess Pottery, a ceramics studio located in Augusta, Maine. Lori loves color and pattern and the squishiness of clay, and seeing the effects of flame on all her careful work! In addition to making pottery, she can often be found gardening, reading (preferably with a cat or four in attendance), or making homemade pizza with her husband, Doug. Fine Mess Pottery is soda-fired, which results in durable and beautiful ware. It's entirely lead-free, foodsafe, oven-proof and dishwasher safe.